Here at Source we’re always on the hunt for the brightest and best fashion accessories each season. 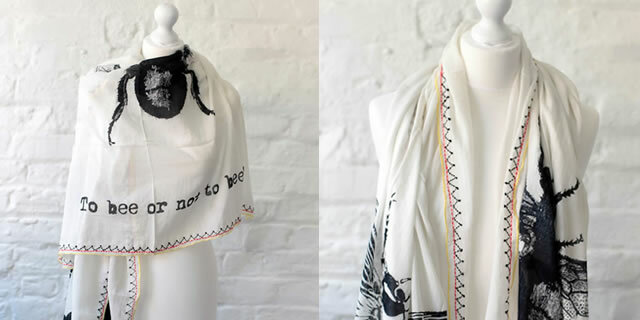 These One Hundred Stars scarves by a new, design-led UK company, will ensure you’re on trend this summer. 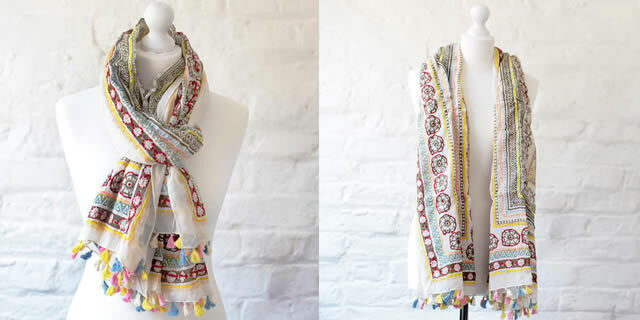 Created using entirely natural fabrics – cotton, linen and silk – are then hand embroidered, screen printed and hand dyed. Their complex hand, screen printing process (some designs use 10 screens), enables One Hundred Stars to produce highly intricate patterns and strong statement designs – all inspired by their designer’s world-wide travels. This summer we predict… One Hundred Stars scarves will be your go-to accessory for beach, evening and festival wear. With so many great designs it’s hard to choose a favourite but heay at these prices why choose…? 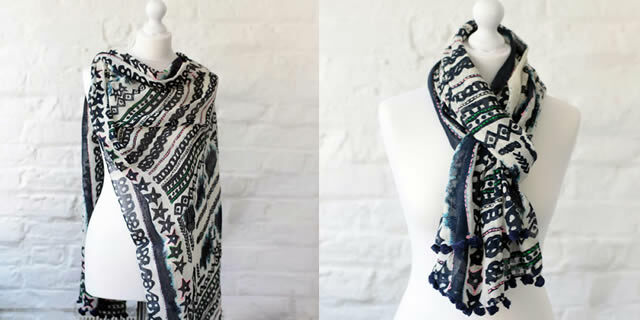 One of these gorgeous scarves is the easiest way to transform any outfit. One Hundred Stars scarves are so diverse too, we love the boldness and graphic quality of the Bee scarf, the hand embroidered tassle scarf is the perfect cover up for the beach, Marine Girls will swoon over the nautical scarf a cotton and linen mix, tassel-trimmed with rope and starfish detailing. Did you catch our recent post on One Hundred Stars scarves featuring our collection of vintage map scarves? They have been absolutely flying out the door – Paris, London and New York dwarling! 16 Pings/Trackbacks for "One Hundred Stars Scarves Online UK – Source Lifestyle"